This evening we just got some great news that our Scentsy Starter Kit would be offered at a discounted rate for the month of March 2016. How’s that for AWESOME “end of the month” news! I can hardly stand it, I’m so excited! Our wickless candle business opportunity special won’t last. 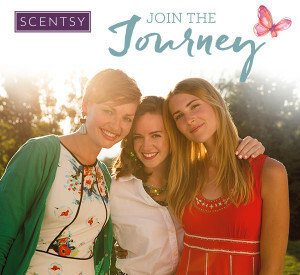 Now is the time to join our Scentsy team, The Awesome Group, as we continue to thrive and grow on a global level. Our new Scentsy Spring Summer Catalog starts tomorrow, March 1st and it’s such an exciting time. 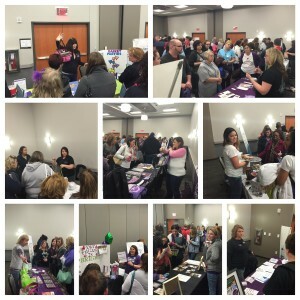 Have you ever wondered how to become a Scentsy Consultant? I actually get asked this question quite often from customers who would like to start a Scentsy business. I guess because I do large events and talk with lots of people, often sharing the business opportunity with others through conversations, my blog, and my Facebook fan page. Starting a Scentsy business is a very easy process. You can become a Scentsy Consultant online by visiting my e-commerce site where you’ll see 3 tabs at the top of the page: SHOP, PARTY, and JOIN. Click on the “JOIN” tab. 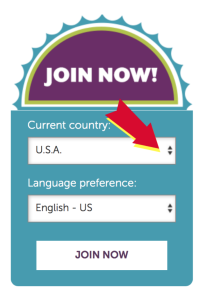 Scroll down a bit and to the right of the page you’ll see an image that has a fun “JOIN NOW” image with a few drop down options. Did you know that one of the best things about having a Scentsy Wickless Candle global business is that you can work online from home. 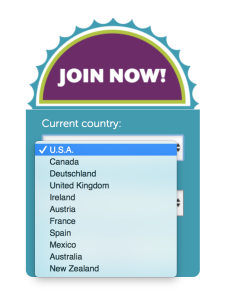 When you join Scentsy online, choose your current country, then work your business through social media, building relationships with people from other countries who are looking for work from home opportunities. Currently, Scentsy offers Global Wickless Candle Businesses in the United States, Canada, Deutschland, United Kingdom, Ireland, Austria, France, Spain, Mexico, Australia, and New Zealand with other countries being added soon. 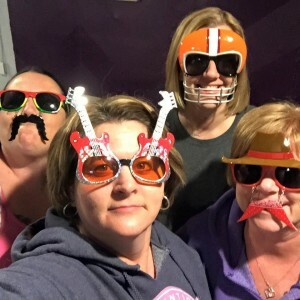 At Scentsy, and as part of our Awesome Group Team, we want to inspire people with beautiful fragrances and the memories and emotions they bring forth. But it all begins with you. We need passionate people who want to succeed on their terms, without sacrificing precious time with the people they love. We want people who want to make a difference in their families and their communities. My Scentsy business has impacted my life for the better in so many ways (read my Scentsy Success Story). If you’re ready to chase your dreams, Scentsy can be the vehicle you’re looking for to impact your life. 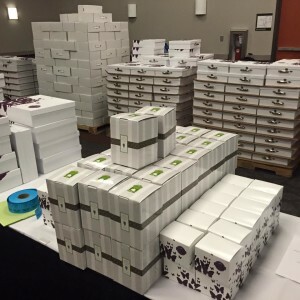 The contents of a Scentsy Starter Kit change with each season, but one thing you can be sure of is that you will have everything you need to have a successful launch party for your new Scentsy Wickless Candle Business. There will always be current testers, full of seasonal and favorite fragrances (approximately 80). Also included in your Scentsy Starter Kit are current catalogs, order forms, business tools, and products to showcase at your parties. 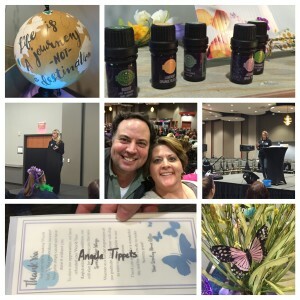 Scentsy is a thriving global business. The opportunity to work from home, or anywhere you choose, has never been easier with the reach of social media. Since 2004, Scentsy has continued to thrive because of our flagship quality products, the culture of our home office, the relationships we build with those in our Scentsy brand family, and of course the relationships and Scentsy brand loyalty of our customers. Yep, that’s me in the video on one of my free vacations -doing a service project in Punta Cana. I’ve been working Scentsy full-time for 9 years and haven’t looked back. I enjoy earning free vacations, meeting new people, building relationships, and of course the financial rewards of my growing wickless candle Scentsy business. It does take work, a BIG dream, and a lot of time to make a Scentsy business thrive. The great thing is that there are a lot of resources, support, and motivation to help you along your journey. Join Scentsy online, or if you have questions give me a call and let’s chat. Don’t sit on the fence waiting, watching and wondering. Now’s the time to go for it! No parties required! 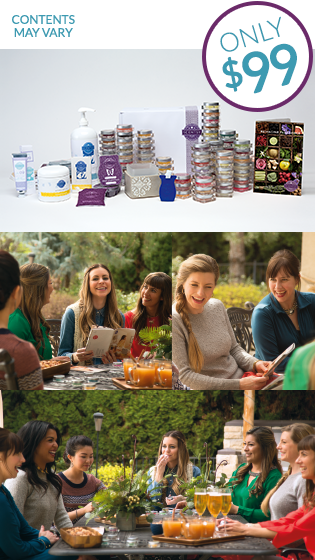 We all are busy and even though Scentsy parties are fun, they can take up a whole evening. When you buy Scentsy wickless candle products online, you don’t need to worry about babysitters, being away from home, or doing your hair and makeup. 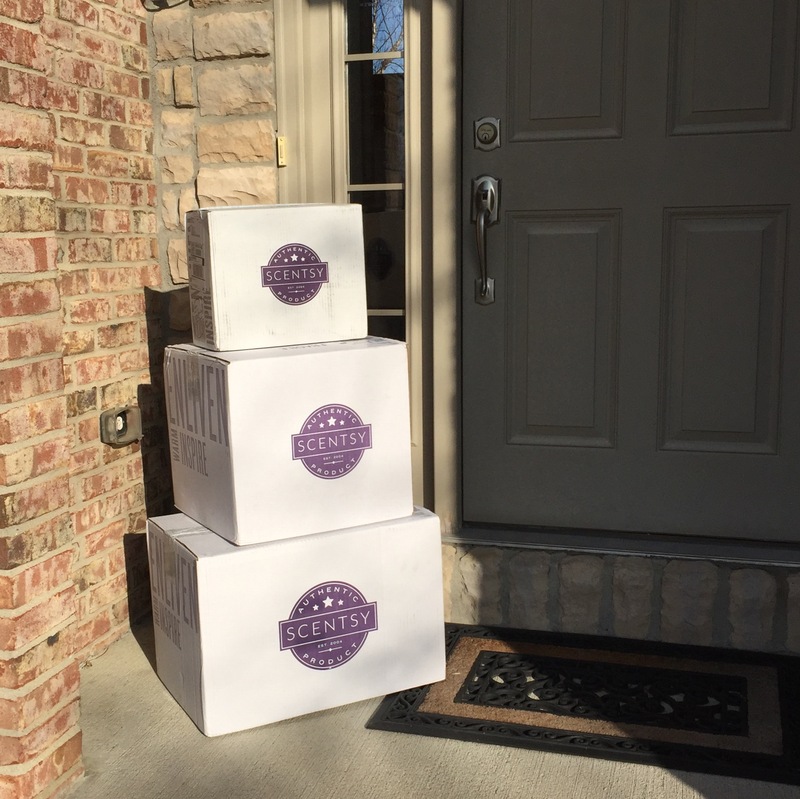 When you buy Scentsy wickless candles and Scentsy wickless candle warmers online for the home, your products are direct shipped to your door -no hassle, no fuss. Quality Scentsy right to your front door. 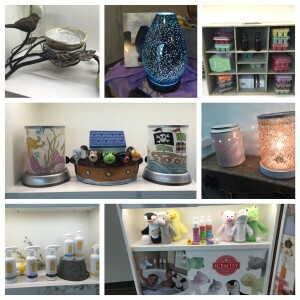 Our Scentsy products for the home are guaranteed for manufacturing defects. Scentsy offers a limited lifetime warranty on Diffusers and Candle Warmers. Most of our Scentsy products, when ordered online, are shipped via UPS. Those UPS delivery people get the job done like a boss! Scentsy products that you buy online are packaged up beautifully in white Scentsy boxes with our beautiful Scentsy logo. There is plenty of insulation in there to make sure your products are safe and protected. When you buy your Scentsy products online, I will make sure you have the best customer experience possible. You become one of my loyal, preferred customers -and I love to reward your awesome buying habits -especially when you help support my small family business. Speaking of my “preferred Scentsy customer”, did you know we have a VIP program? WE DO! 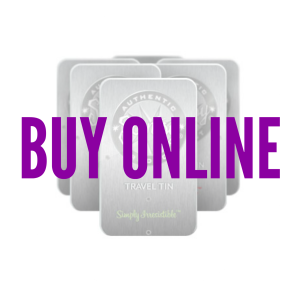 When you buy Scentsy products online, you have the option of having your product on auto ship. 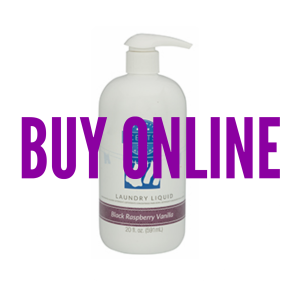 Never run out of Scentsy Laundry products, or Scentsy Essential Oils again! I LOVE MY ONLINE SCENTSY CUSTOMERS! Did I mention that? EARN 1 HALF-PRICE ITEM when you spend $200.00 – $349.99! when you spend $350.00 – $499.99! when you spend $500.00 – $999.99! when you spend $1,000.00 or more! * Half-Price Rewards are only applicable to individual online orders of $200 or more. If you add your order to an existing party, you may not claim Half-Price Rewards. † If the online shopper qualifies for half-price items but does not redeem them, free product will not apply to the order and the shipping policy will still apply. Half-price items do not accumulate for use on a later order. It’s so easy to order Scentsy online without going to a Scentsy home party. While home parties are fun, and we are a party plan company, sometimes you just want to stay in your comfy clothes and not put on make-up, or plan for a sitter for the kids. Sometimes you just need your wickless candle refills and it’s more convenient to order your Scentsy online. If that’s the case, visit my products page and order to have your Scentsy products direct shipped right to your front door. Super convenient and very easy. Scentsy Kitchen Soap allows you to conquer your daily pile of dirty dishes with a mere swipe of the sponge, thanks to the biodegradable enzymes that quickly dissolve dirt and food particles. Scentsy Kitchen Soap is sulfate- and phosphate-free. By the Sea, Coconut Cotton, Coconut Lemongrass, French Lavender, Honeymoon Hideaway, Luna, Sunkissed Citrus, and White Tea & Cactus. All fragrances are formulated in accordance with IFRA guidelines, as are all our fragrances. What is Scentsy Clean Kitchen Soap? Scentsy Clean Kitchen Soap is a sulfate- and –phosphate-free, low-sudsing dish soap formulated with special enzymes to break up food and grease particles for scrub-free cleaning. Its clean-rinsing formula won’t leave a lmy residue behind. Does Scentsy Clean Kitchen Soap need to be diluted? No. The product can be used directly on dishes, pots and pans. Can the Kitchen Soap be used for things other than dishes? Yes. It can also be used to clean oors and other kitchen surfaces. It also works great for degreasing grills. Just soak grates overnight in hot, soapy water for easy cleaning. Will Scentsy Clean Kitchen Soap dry out my hands? With normal use, Scentsy Clean Kitchen Soap will not dry out hands. However, we recommend avoiding prolonged exposure to the product or using it as hand soap. Is Scentsy Clean Kitchen Soap antibacterial? How much soap should I use to clean a sink full of dirty dishes? Start with a few pumps. Add more soap for large or especially greasy loads. Can I use Scentsy Clean Kitchen Soap in my dishwasher? 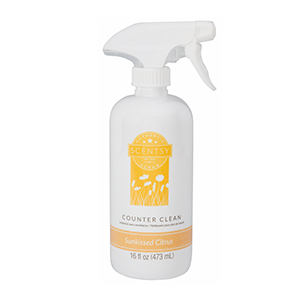 Scentsy™ Counter Clean is an all-purpose spray that forms a clear barrier on sealed surfaces that repels dirt and gets stronger with regular use. By the Sea, Coconut Cotton, Coconut Lemongrass, French Lavender, Honeymoon Hideaway, Luna, Sunkissed Citrus, and White Tea & Cactus. What is Scentsy Counter Clean? Scentsy Counter Clean is an ammonia-free, multi-surface spray that gets stronger over time to protect surfaces and prevent dirt and grime from adhering. 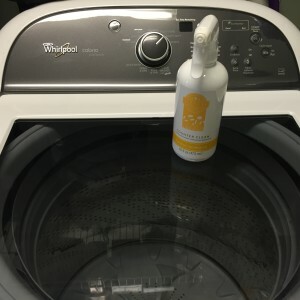 Are there advantages to using Scentsy Counter Clean over conventional multipurpose cleaners? Yes. Scentsy Counter Clean is formulated to make cleaning easier with continued use and features amazing Scentsy fragrance. Is Scentsy Counter Clean safe for all surfaces? Scentsy Counter Clean is safe for use on all sealed surfaces, including granite, counters, treated wood and bathroom fixtures. Can I use Scentsy Counter Clean in my car? Yes. Scentsy Counter Clean is safe to use on hard surfaces in car interiors. Is Scentsy Counter Clean safe to use around children and pets? Yes, if normal safety precautions are followed. Keep Scentsy Counter Clean out of reach of children and pets to avoid ingestion. Is Scentsy Counter Clean tested on animals? Does Scentsy Counter Clean contain antibacterial or disinfecting ingredients? Is it Scentsy Counter Clean non-toxic? No. As with any household cleaner, Scentsy Counter Clean should not be inhaled or ingested. 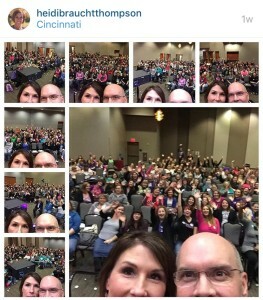 I receive my first bottle of Scentsy™ Counter Clean at our Scentsy Family Reunion in 2015. I was so excited to try it out, then when I got home it ended up under my kitchen sink -forgotten about. A few months went by and one day, after making cookies, I thought I’d try out my Scentsy Counter Clean. My countertops are marble, and while it did a GREAT job cleaning, I did have a few streaks. I just took a dry paper towel and wiped the the residual streaks right off. Super easy! My counters looked brand spanking new -beautiful! I then used it on my stove, and again, just a few streaks, but a dry paper towel cleaned those right off. I just can’t believe how fast the Scentsy Counter Clean cuts through kitchen grease and grime. I went in the other day to do laundry and realized what a mess my washing machine was. My husband and son do a lot of camping, so there seems to be a layer of dirt, dust, grime, sticks, and who knows what on top on the washing machine lid. I have a Whirlpool Cabrio, so there’s a window to see inside the machine. We typically can’t see inside very well though because of the camping mess. Even though it’s called, “Scentsy Counter Clean”, it worked amazing on my washing machine and dryer to get it all sparkly clean again. There was a little streak, but with a clean, dry paper towel, those came right off. This stuff is the BOMB! It seriously does a GREAT job getting hard grease, grime, and dirt off. 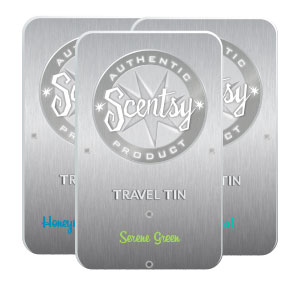 Do you want to know how to get discount Scentsy Travel Tins? We have quite a few online Scentsy specials, including 2 different Scentsy Travel Tin discount options. Take advantage of our Free Scentsy Travel Tin option. When you buy any 5 Scentsy Travel Tins, you’ll get an additional Scentsy Travel Tin for FREE (you can select a combination of Travel Tins of your choice). 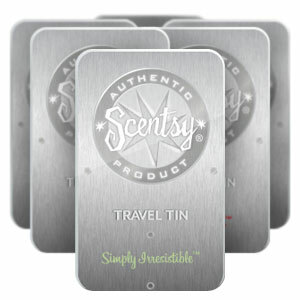 Another way to get discount Scentsy Travel Tins is to buy the 3 pack discount bundle. You can order all in one scent, or select your three favorite fragrances to add to your discount multi-pack. When you buy 3 Scentsy Travel Tins, you save $1. What is the material used in a Travel Tin? Travel Tins contain metagel, a microscopic, sponge-like, open-cell foam and fragrance oils. Travel Tins stay solid up to 170 degrees Fahrenheit. How should I use my Travel Tin? Simply slide the cover over a little for a bit of fragrance and a lot if you want a stronger fragrance throw. Where should I use my Travel Tin? Travel Tins are designed for smaller spaces and are perfect for gym lockers, hotel rooms, bathrooms, cars (I like to put mine under my drive seat), closets or anywhere a fragrance on the go would be beneficial. Make sure you’re familiar with the consumer warning label on the back of the packaging. How long does a Travel Tin last? · Travel Tins lose potency faster in a hot or dry environment, as opposed to a cold or humid one. · Some scents disperse at a faster rate than others, so two Travel Tins opened at the same time will likely have different life spans. · Travel Tins with a fully opened lid will dispense scent faster than if the lid is partially opened. Slide the cover open to add a little fragrance -or a lot. Available in 23 fragrances. 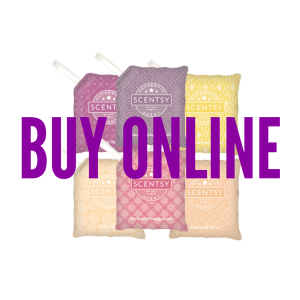 Do you want to know how to get discount Scentsy™ Scent Paks? We have quite a few online Scentsy specials, including 2 different Scentsy Scent Pak discount options. Take advantage of our Free Scentsy Scent Pak option. 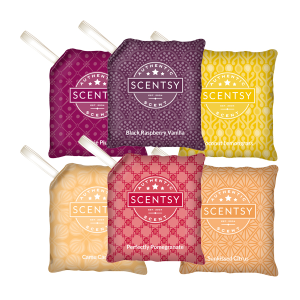 When you buy any 5 Scentsy Scent Paks, you’ll get an additional Scentsy Scent Pak for FREE (you can select a combination of Scent Paks of your choice). Another way to get discount Scentsy Scent Paks is to buy the 3-pack discount bundle. You can order all in one scent, or select your three favorite fragrances to add to your discount multi-pack. When you buy 3 Scentsy Scent Paks, you save $1. A Scent Pak is a high-thread-count bag with food-safe polymer beads injected with favor and fragrance oil. 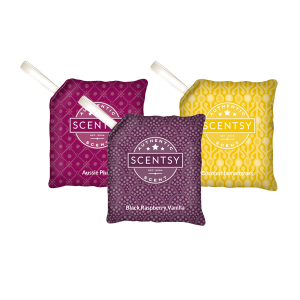 Every fragrance used in our Scentsy Scent Paks, is made up of food grade flavors. The fragranced plastic beads are dry to the touch and work great in our Scentsy Buddies, a gym bag, a locker, or a drawer. Every Scentsy Buddy (part of our Scentsy Kids line) comes with a Scentsy Scent Pak, so we make sure the fragrance oils conform to the toy industry safety standards, and are generally regarded as safe. Scentsy Scent Paks are NOT intended to be eaten, but in the off chance that a child does somehow manage to ingest the beads, he/she won’t be hurt. Fragrance lingers in drawers, closets, suitcases or beloved Scentsy Buddy. Available in 45 fragrances. Do you want to know how to get Scentsy Car Bar discounts? We offer online Scentsy specials, including 2 different Scentsy Car Bar discount options. Take advantage of our Free Scentsy Car Bar option. When you buy any 5 Scentsy Car Bars, you’ll get an additional Scentsy Car Bar for FREE (you can select a combination of Car Bars of your choice). Another way to get discount Scentsy Car Bars is to buy the 3 pack discount bundle. You can order all in one scent, or select your three favorite fragrances to add to your discount multi-pack. 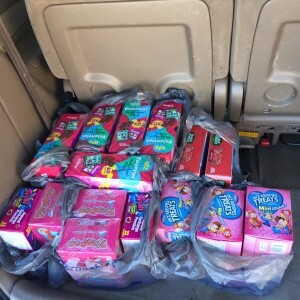 When you buy 3 Scentsy Car Bars, you save $1. For quick jaunts and long journeys, our Scentsy Car bar delivers fragrance that lasts up to 30 days. Includes a ribbon – embellished with the fragrance name – for hanging. Available in 18 fragrances.